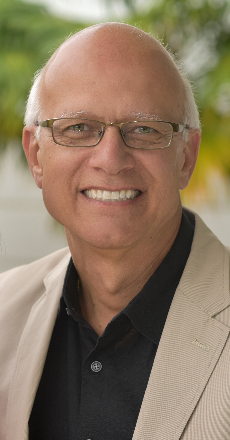 Joe started a General Dental Practice in 1978 located in Middleburg Heights, OH (10 miles south of Cleveland). It was a preventive family practice with special interests in restorative and cosmetic dentistry and the treatment of temporo-mandibular joint dysfunction. Joe sold his practice in 2006 and now works part-time as an independent contractor in the practice he started Joe now serves in full-time ministry with his wife, Cindi, with the ministry of Campus Crusade for Christ. To be involved in developing a movement of spirit-filled individuals who are committed to God’s Word and actively involved in fulfilling God’s Great Commission. Graduate course work in Ortho-Gnathological Occlusion and Oral Rehabilitation, 1984-1985. This course was an advanced study regarding the principles of occlusion, the treatment of temporo-mandibular joint dysfunction and management of myo-facial pain utilizing splint therapy and the gnathological principles of equilibration and full mouth rehabilitation. Associate Staff member with Campus Crusade for Christ since 1989. He and his wife have been on the National Speaker Team for FamilyLife Ministry since 2000. City Director for Campus Crusade for Christ for Cleveland and Northeast Ohio. Speaker for the Disciple-Making Seminar. Member of the US Cities Learning Lab for Campus Crusade for Christ. Member of the US Cities Team for Campus Crusade for Christ. Senior Advisory Board member at Normandy High School. The American Dental Association, Ohio Dental Association, Cleveland Dental Society for 30 years; 1978-2008. Board of Directors for the School of Ministry, Cleveland, OH. Director of the Lighthouse of Prayer Ministry at Grace Church. PAST INVOLVEMENTS include being a member of the Executive Committee (working as a member of the Counseling and Follow-up Committee) of the 1994 Northeast Ohio Billy Graham Crusade, and was the Material Coordinator for the entire Crusade; Congregational leader for Grace Church during the Billy Graham Crusade. Joe was the Chairman of the Follow-up Committee of Peter Lowe success seminar in 1996. He was also the co-Follow-up director for the Legacy conference, 1999 and 2001. He was the Area Director of the Jesus Video Project. Involved with Mission America, initiated the creation of Mission Cleveland and Mission Ohio. He was part of the Neighborhood Watch committee and served as a block captain. He started and served as the City Ministry Director and part of the City Ministry Team for the FamilyLife Ministry of Cleveland/Northeast Ohio. Joe was also a member of the Board of Elders at Grace CMA Church for many years. Participant in presenting Disciple-Making Seminars since 1988 throughout Northeast Ohio and nationally. Directed City Reaching Forum Symposium in Mar del Plata, Argentina in the context of the Seventh Annual Harvest Evangelism International Institute, Nov, 1997. Alive Festival 2000 Canal Fulton, OH, seminar presenter. Spoken throughout the country at FamilyLife Weekend to Remember marriage conferences. He started and continues to be involved developing spiritual leaders through his training entitled “R2D2 for Jesus” ministry. He has been involved in City-Reaching and spiritual transformation of cities since the mid-1980’s by helping to develop collaborative ministry initiatives by developing strategic alliances across Cleveland and Northeast Ohio, the US and the world. He maintains a very busy schedule through his involvement in the lives of those that he has discipled through the “R2D2 for Jesus” ministry. He has many ongoing discipleship/accountability contacts. Studying the Bible; teaching and helping others to become established and equipped in their Christian faith. I enjoy walking with my wife, and traveling, but most importantly, spending time with my family. Independent Contractor dentist at the practice he started in 1978. The practice is located at 18660 Bagley Road, Suite 304, Middleburg Hts., Ohio 44130. Phone: 440-234-2445.